I just got a Great news and bad news for my FIRST Book on Cost Per Action(CPA) that’s specially written for Malaysian’s affiliate in mind and comes with easy reading.! ** Normal price selling at Book Stores is RM39.90 so You save: RM15.96! The bad news is this offer only valid for this week and this crazy sales offer will not be repeated! If you already have my book then gave another copy as a gift to your friends. Do keep the book purchased receipt for Income Tax deduction purposes. 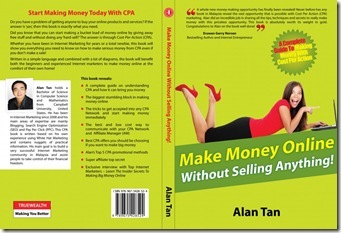 Grab the CPA Marketing book at RM23.94 by CLICK HERE today! This’s a physical book and not downloadable e-book…. I don’t think you can get a great on CPA Marketing for only RM23.94. *** This offer valid for This Week ONLY! My publisher, True Wealth, give a 14 days guarantee on all their books. In the unlikely event that you are dissatisfied with the books or the content, you can return the books for a full refund. You must attach the original receipt as proof of payment. You must also bear the postage cost of returning the books to us yourself. This guarantee applies only to book purchased directly from TrueWealth or from this website and not from purchases made elsewhere including those at the bookstores. This entry was posted on Friday, October 28th, 2011 at 7:22 am	and is filed under Make Money. You can follow any responses to this entry through the RSS 2.0 feed. Both comments and pings are currently closed. 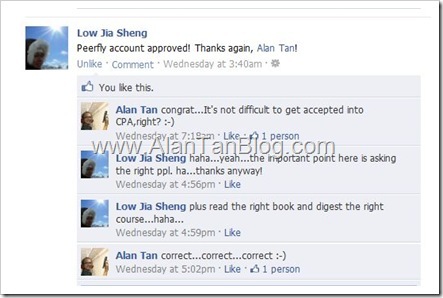 Have you Grab my CPA Book with Only RM23.94! (40% Off)-Offer Expired Tomorrow & This Crazy Will NOT Repeat Again!!! !